When guys are out shopping for a wardrobe refresh, there are numerous styles they can choose from. But among these guys, there are those who have to opt from limited choices. The reason – they are on the heavier side of the weighing scale. Plus size clothing has often been a struggle for many men. Even when shopping online, most of the times we come across extremely fit models on the images of these websites. This makes many plus sized men feel left out in terms of fashion sense. That’s exactly what this article shall try to fix. 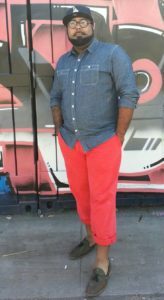 So, let’s dive into the varied options that are available when it comes to stylish plus size clothing for men. Now there are different body types when it comes plus sizes. There’s the round-bellied, broad-shouldered, big-bottomed and so on. If you were to know and work on the specific body type’s fashion needs, the style options could increase. But for now, we’ll be focussing on the overall looks you could explore in plus size clothing for men. 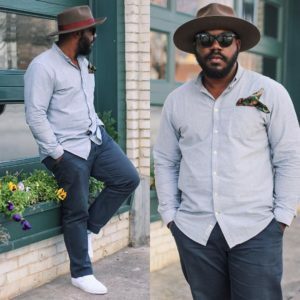 While we’ll be getting into the specifics of various style and outfits soon, let’s first address a few things that can really help you purchase the right plus size clothing for men. The first and possibly most important factor is the fit. One of the common misconceptions that I have seen many adopt is the clothes that are bigger than our size. It is thought that this trick helps hide our physique. But that is not the case. Rather it draws more attention towards your weight and gives a sloppy look. Ideally, you want the cloth to rest lightly on your body. This can be done by getting clothing that isn’t hugging your skin nor hanging out with layers of loose clothing. Figuring out and maintaining the right balance for the fit is where the trick lies. But then getting the exact right fit is incredibly difficult, especially when it comes to shopping plus size clothing online. 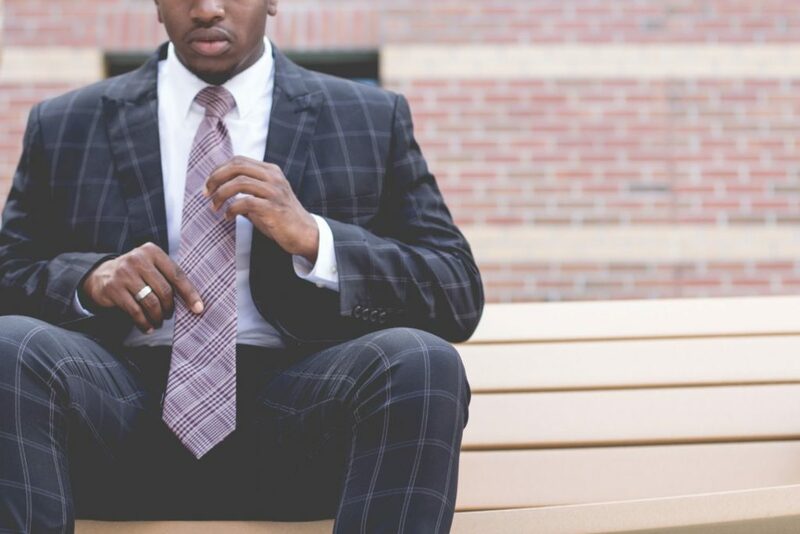 Hence, a smart choice would be getting in touch with a good tailor who would make simple adjustments like shortening the shirt sleeves or trousers. As for styles, simpler styles would suit people with larger frames. A large frame translates to an imposing presence. So, you are better off keeping patterns on your outfits to a minimum for a balanced look. The best examples would be lightly striped shirts, solid colour jackets and so on. When it comes to fabrics, lighter ones are the ideal choice. Thick and heavy clothing would accentuate your already big size, which gives you a bulky look. Also, heavier clothing can trap in a lot of heat and lead to excessive sweating which would certainly not be a pretty sight. So, look for smooth and light fabrics with clean lines would give your style a sure-shot visual upgrade. The best options in plus size clothing are the ones that give a clear, defined shape to your body. The following style tips shall focus on providing just that. As we mentioned before, simplicity is key to plus size clothing. Hence, you should hold back on bright colours and patterns. Solid neutral and dark colours are particularly great. But if you still insist on wearing patterns, opt for something low-key such as light stripes, or subtle dots. In case you choose to wear stripes, go for vertical ones. These have a visually slimming effect and will elongate the body. Also, avoid thick stripes and go for subtle thin stripes. Layering is a lifesaver when it comes to fashion hacks for larger men. When doing so, one way to go about it is to add lighter colours underneath dark outer colours. This will brighten up the outfit and create a clearer vertical line down the torso. Be careful with accessories and they can rewarding to your overall look. For example, if you have a round tummy, a loud belt buckle draws negative attention to your midriff. Therefore, wear accessories such as glasses, scarves, watches, or a hat to take the attention away from the midriff. Under any circumstance, avoid baggy jeans. Slim or skinny fit jeans would be a much better alternative instead. For formal occasions, a single-breasted suit jacket with a low-placed fastening is a safe bet in plus size clothing for men. So, now if you look at it, choosing plus size clothing for men isn’t all that different from shopping for other body types. It all boils down to the fit that flatters your body shape. Size has never been a barrier for style, and it is not to be in the future. There are a whole lot of ways left to explore in plus size clothing. So, keep your eyes open for the upcoming articles. For more such glimpses into fashion, makeup and accessories for all seasons, continue to follow InfiFashion and get regular updates on all things fashion.